Whether you are building a new cloud native application, transitioning an existing enterprise application or creating a hybrid data center between existing on-premises environments and AWS, QSolv can help. Our AWS Enablement services offer our clients a range of packaged engagements that have been created to enable successful AWS transitions. These services include proof of concepts, readiness assessments, packaged project delivery services, architectural reviews and resource augmentation. AWS provides services and tools to help customers run their infrastructure and services in an agile, cost-effective, highly performant manner. Specific to DevOps, QSolv uses the base unit of cloud automation, CloudFormation Templates to enable an SDLC approach to IT Infrastructure. We are also deeply skilled in the AWS DevOps Tools such as Elastic Beanstalk, OpsWorks, CodeCommit, CodeDeploy, CodePipeline, Lambda, and CloudTrail Auditing. Whether you need to establish a green-field AWS infrastructure environment, build Continuous Integration and Continuous Delivery processes, or establish mature operational automation of your environment, the QSolv’s team of AWS certified engineers and architects can help you build AWS DevOps capabilities and move to the cloud responsibly. 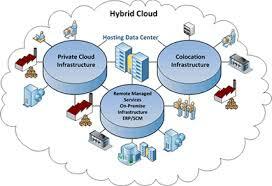 Our Hybrid Data Centre offering seamlessly bridges existing privately hosted environments with AWS. We optimize applications currently hosted on-premises for deployment within AWS and we manage all application environments. This incorporates delivery of application specific monitoring journeys and management procedures, ensuring the highest levels of application availability. We provide migration services to upload data and deploy the Redshift environment. We subsequently provide a 24/7 managed service, ensuring the on-going integrity of the Redshift platform and scaling nodes as processing demand increases. The days of manual, server-by-server security configuration and governance are over. Complex cloud environments require common standards that are consistently built and enforced with automation. 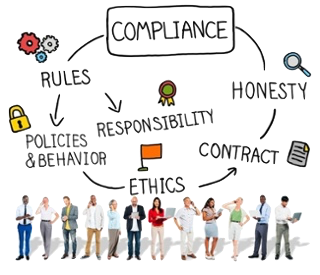 HIPAA compliance – We help healthcare organizations protect ePHI and de-risk compliance. Our experts manage secure, compliant cloud environments for top financial services companies. PCI-DSS, SOX, SOC2, and more. Maximize Performance of your AWS applications, Minimize cost of your AWS infrastructure with our World Class Services.